JSK Publications is aleading publisher of educational books for school children in India. We provideincomparablebooks and best-in- class educational services to school students. Our dedication to be the best in publishing school books is reflected through our work. Our books demonstrate creativity, collaboration and commitment to provide the best learning to the tender minds. Our core values enable us to find innovative ways to present ideas that inform and entertain children and cultivate their minds to the utmost capacity and enrich their lives. We value the virtues of righteousness, and therefore, our books exhibit a high moral tone. We aim for perfection in our books and services. Our books are published after extensive research, classroom trials, expert consultations and stringent quality checks. Our in-house design team of talented writers and designers embellish the books with contemporary page layouts and cover artwork. Our editors collaborate with the teaching community to improve and update content as per the latest syllabus and guidelines. We also provide interactive classroom learning services, customized content development and Web support to schools for a continuous and hassle free learning experience by the school children. 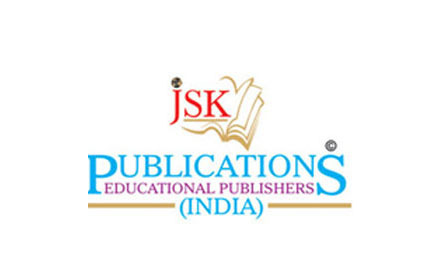 Jsk Publications (India) is one of the leading publishers of educational books in the country. JSK Publications extending remarkable value added services in the field of education for past years with an efficient distribution network, delivering incomparable educational services.